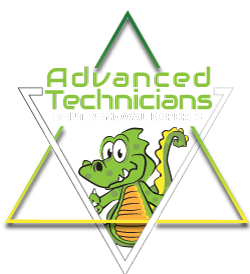 If you are looking for reliable, trustworthy, and experienced automotive reconditioning experts, then look no further than DentZilla. As mobile technicians, we make your car care as simple and straightforward as possible, exceeding expectations and providing you with results that leave you exceptionally satisfied. At DentZilla, your vehicle is just as important to us as it is to you. We take our time to assess your concerns and thoroughly evaluate your vehicle’s damage and provide you with a thoughtful solution to fix the problems at hand. Whether you have a dent, ding, crease or hail damage, we’ve got you covered. And if your paint is chipped or scratched we’ve got you there too. If you have a broken piece of plastic or a chip in your windshield, we know how to properly repair your vehicle and make it like new again. Here at DentZilla, we are your paintless dent removal experts in O’Fallon. Dents in your vehicle are not only a frustrating eye sore but they also devalue your hard-earned investment. The aesthetics of your vehicle are just as important as its functionality. At DentZilla we understand that blemishes to your vehicle are frustrating, but we provide hope. As an innovative alternative to collision repair, PDR allows us to provide you with an effective solution to your dent problems. As a method that is preferred by insurance companies and our customers alike, you can trust us to fix your vehicle in a timely manner, without requiring body work to be performed. We know life is hectic, so don’t waste time sitting in a waiting room or worse, be without your vehicle for a few days while it’s in the shop. Give us a call and we’ll come to your home or office, supply you with a free estimate and even perform the work on site, saving you time and money. We work on all makes and models, putting your needs as our priority. Accidents happen, and when they do, we want you to know that we will be there to take care of you! For your free estimate on all PDR services, contact us today. After initial contact, we welcome you to send us a picture of the damaged area or areas for a more comprehensive idea of what we’re looking at.